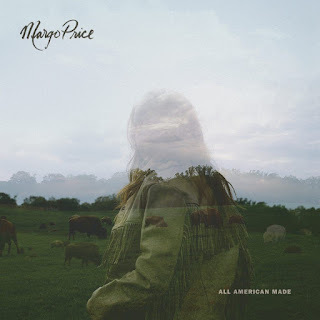 Last year, Margo Price had my #3 album of the year with Midwest Farmer's Daughter. Somehow she released a fantastic new EP and my #1 album of the year, All American Made. Price just expertly nails a retro 70's style country with absolute perfection. It's a sound I didn't know I wanted more of until she came around, and I haven't been able to get enough of her music in the past two years. As great as Midwest Farmer's Daughter was, she grew on that sound. Margo Price will be a household name in the next few years, and she'll be one of the few that truly deserves it. Songs of note: "Weakness," "Learning to Lose," and "Loner." Buffalo Tom - "All Be Gone"
Michael Rault - "Sleep With Me"
MC Paul Barman - "(((happy holidays)))"
Tristen - "Crying on Christmas Day"
Ruby Boots - "I Slept Through Christmas"
Anna Burch - "Tea-Soaked Letter"
Lucy Dacus - "Night Shift"